Ellsworth resident and longtime St. Louis Post-Dispatch reporter Richard B. Dudman died Aug. 3, 2017 at the the age of 99. 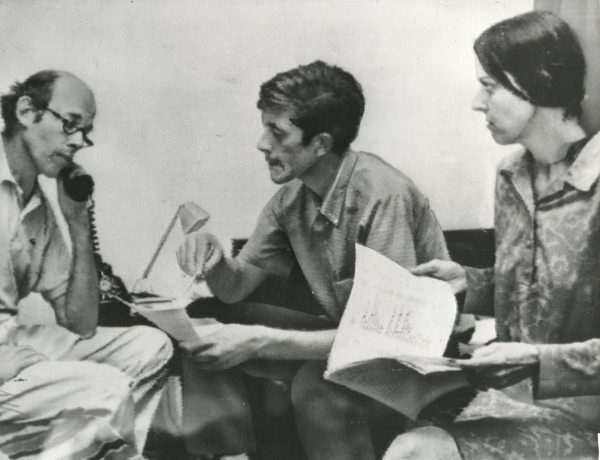 The picture shows him (at left) in 1970 with fellow journalists Mark Morrow of Dispatch News Service International and Elizabeth Pond of the Christian Science Monitor after they were taken hostage by the Vietcong in Cambodia and then released 40 days later. 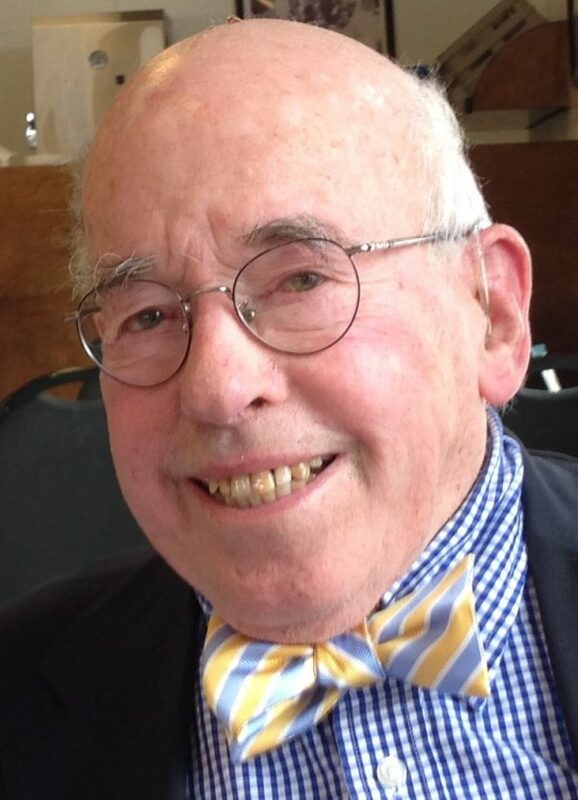 Richard B. Dudman, a longtime journalist who was a former Washington D.C. bureau chief of the St. Louis Post-Dispatch and who wrote more than 1,000 editorials for the Bangor Daily News, died early Thursday at an assisted living facility in Blue Hill, according to his family. Dudman was 99 years old. In 1978, after repeated requests for an interview, Dudman and two other westerners — Washington Post reporter Elizabeth Becker and Scottish economist Malcolm Caldwell — were invited by the Khmer Rouge to travel to Cambodia to interview Pol Pot. Hours after meeting with the Khmer Rouge leader, who lectured them on the misdeeds of the Vietnamese and answered no questions, a gunman attacked them at their guesthouse, firing shots toward Dudman and fatally shooting Caldwell in the chest. Dudman began his career as a foreign correspondent covering the Arab-Israeli war of 1956, his family said in a statement. “He kept his bag packed and his passport up to date, always ready to take off on a few hours notice,” they said. Among the conflicts Dudman covered were wars and uprisings in Algeria, Argentina, Burma, Cambodia, China, the Dominican Republic, El Salvador, Guatemala, Ireland, Laos, the Middle East and Vietnam. As Washington bureau chief for the Post-Dispatch, he led the paper’s efforts to obtain copies of the Pentagon Papers after a federal judge halted publication of the documents by the New York Times. His name was among those on President Nixon’s infamous enemies list, and he was on hand to cover both the assassination of President Kennedy in Dallas in 1963 and the failed assassination attempt on President Reagan in Washington in 1981. Dudman retired from the Post-Dispatch in 1981 and moved with his wife Helen Sloane Dudman to Maine where they lived winters in Ellsworth and spent summers on Little Cranberry Island. They owned and operated radio stations in Ellsworth from 1980 to 1999. For many years, he wrote two editorials a week for the Bangor Daily News, filing more than 1,000 before he stopped in June 2012 and the age of 94. Dudman graduated from Stanford University in 1940 and served first in the United States Merchant Marine and then the Navy during World War II. His first newspaper job was with the Denver Post in 1945 after his military discharge. Journalistic honors that Dudman received include a Nieman Fellowship to Harvard in 1953-1954, the 1993 Polk Career Award, a New York Press Club Award for best reporting from Asia, the Edward Weintal Award for diplomatic reporting, and two Knight International Press fellowships to South Africa in 1994 and 1996, among others. He was inducted to the Maine Press Association Hall of Fame in 2014. Sen. Susan Collins, who knew Dudman, had a statement entered Thursday into the Congressional Record in his honor. Dudman is survived by his wife Helen, daughters Martha Tod Dudman and Iris Dudman, and four grandchildren. A memorial service is planned for 11 a.m., Aug. 19 at Jordan-Fernald funeral home in Ellsworth.